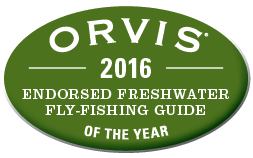 Ready to have the time of your life in beautiful, breathtaking Montana with an Orvis endorsed guide? Your only job is to relax, put your fly on the water, and catch wild trout. 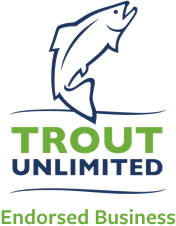 These 3 day 4 night guided fly fishing packages afford our angling clients minimal trip coordination time and substantial savings on accommodations while fly fishing Missoula rivers with the regions finest guides. Access all Western Montana’s great fly fishing waters from a luxurious mountain retreat. We take of everything; the guiding, accommodations, and exquisite dining. Maximum opportunity for fish with minimal work. The guide keeps the boat in fishy water so you can focus on fishing and relaxing. Riverside camps are our billion-star accommodations. Float, fish, camp, dine and sleep for 2 to 6 days. Affords anglers an opportunity to explore Montana's streams on a more intimate level than fishing from a craft. We develop custom fly fishing trips for corporate team building, fly fishing clubs, family reunions, business retreats, wedding parties, veteran organizations and conservation associations. Float, fly fish, camp, and relax for 4 nights and 5 days in Montana’s most coveted river canyon. Combine some of Western Montana’s best fly fishing with exceptional whitewater and scenery. We are now booking a spectacular line up for hosted trips for the fall of 2017 and on through 2018. We've done the homework and make all the arrangements - you pack up your gear and get on the plane!